The censor of ‘Saakshyam’ has been wrapped up and the film got ‘U/A’ certificate. With a lot of expectations, the film is releasing on July 27th. Starring Bellamkonda Sai Sreenivas and Pooja Hegde in the lead roles, Sriwass has directed the movie while Sai Madhav Burra provided the dialogues. 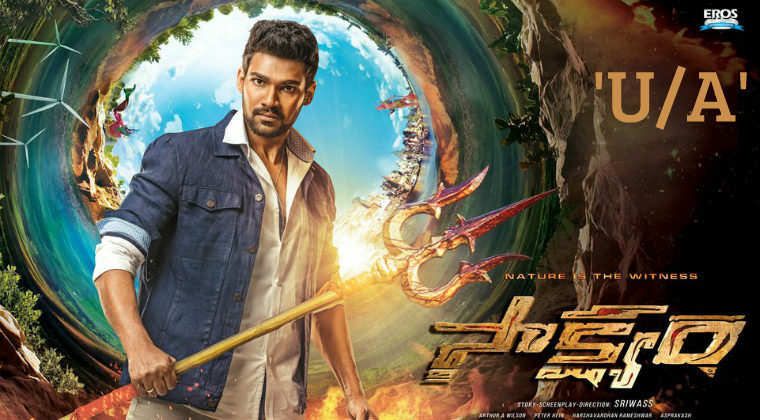 ‘Saakshyam’ is based on the Nature’s five elements and Karma Siddhantha which is a never before concept on Telugu cinema. The trailer and songs have been impressive. Harshavardhan Rameshwar has composed music for the film while Arthur A Wilson handled the cinematography. Next articleGopichand to work with a newcomer again!